Having already hosted three successful international consultations in 2013 (Albania), 2014 (Albania) and 2015 (Finland), this year the LOI are taking a new step as we plan our first regional consultation. This will enable us to work on Orthodox-Evangelical relationships in a more contextual way and to build relationships ‘on the ground’ which can then continue afterwards as working partnerships for the mission of the Church. The first regional consultation will be held in Addis Ababa, Ethiopia, from 11-14 October 2016 serving the nations of East Africa and the Horn of Africa. Although the majority of the participants will be evangelical and Orthodox leaders from within this region there will also be a number coming from India as well as from Europe and North America. 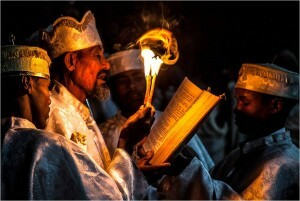 The gathering will be hosted by His Holiness Patriarch Mathias and leaders of the evangelical community in Ethiopia. During the consultation participants will deal with the challenging issues of peace building, relationships between different faith communities and the building of unity within the Body of Christ. There are now 250 leaders worldwide, from Orthodox and evangelical communities, who have been part of the LOI journey in one way or another. Sadly it was impossible to invite everyone to Ethiopia this year but we hope to engage with a different group next year (2017) when we will meet in the UK to consider the formation and training of missional leaders for our churches. There is also a possibility of a fourth international consultation in 2018. We are pleased to be able to publish the following short review of In Africa: Orthodox Christian Witness and Service by HE Archbishop Anastasios Yannoulatos of Albania who was the host of the first two LOI international consultations and continues to encourage us in our work together. “My sisters and brothers, on behalf of the people and the Church to which I belong and which was founded by the Apostle Paul, I would like to ask your forgiveness for arriving so late, with a delay of centuries.” These words, spoken by a Greek Orthodox bishop in a “shed” church at Ol-Moran in the highlands of Kenya in 1987 set the missional context for a pioneering life of church planting and sustaining – a life readily and sacrificially adopted by Archbishop Anastasios and held out, by him, to others as the clear calling of the gospel. This book brings together within its 400 pages an amazing variety of material which reflect the polyglot lifestyle of this academic turned missionary bishop. Not once, but twice, in his long career has Archbishop Anastasios set out on a pioneering missionary journey – once in Africa to rescue an embryonic Orthodox community from schism and decline and then again to Albania to witness the ‘resurrection’ of a Church once dead under communism. This book tells only the first of these stories, but probably the least well known. The story is told partly in the words of Archbishop Anastasios himself and partly through published reports of his work in Africa. There are deep insights into anthropology, traditional religion, missiology and mission praxis, all set in a wonderfully gripping narrative. We travel on potholed roads, feel the ravishing humidity, and listen to the wonderful African chant. They we find a bishop exhausted by constant ordinations, liturgy, confessions and meetings, sometimes beset by illness (which once forced his return to Athens), then almost blinded in a car accident – but always rejoicing in His Lord and feeding hungrily on scripture. Internationally known as the foremost advocate of Orthodox mission during the second half of the twentieth century, Archbishop Athanasios is sometimes forgotten as an academic. 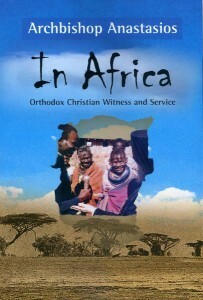 The depth of his academic work is readily revealed by two early chapters on ‘African Religions’ and ‘Types of Sacred African Kingdoms’ whilst his sensitivity to the issues of discipleship and church growth are revealed by the earlier chapters on the founding of Orthodox communities in Kenya, Uganda and Tanzania. I reviewed this book as a Protestant and sometimes found Archbishop Anastasios’ critique of other denominations, and their mission, in Africa rather harsh, if not, at least to a degree, deserved. In one passage, reprinted from a 1987 report in Panta ta Ethne, he writes, “African Orthodoxy … is called to convey to Africa the entire experience and tradition of the “one, holy, catholic, apostolic Church” of twenty centuries. It must do this so that this continent will no longer be tormented by the confessional divisions transmitted there by the various Western missions, transplanting onto Africa soil the theological conflicts and national-social wilfulness of Western Europe during the last five centuries.” His lifelong commitment to building positive relationships with other Christian traditions and his work with the WCC and its Conference for World Mission and Evangelism however suggest that Archbishop Anastasios’ main concern in this passage is with division and divisiveness not with opposing other denominations. At least half of the text comprises a gripping tale of travels in Eastern Africa with an exhausting tally of deacons and priests ordained, churches built, monastic communities established, schools started and funds raised for salaries, cars, roofing tin, and much more. One would be tempted to skips some of these passages if it were not for the fact that they are woven through with wonderful spiritual insights. One of my favourites comes the 1987 report of a visit to Nyeri in Central Kenya where Archbishop Anastasios writes, “It is in the grace of repentance that good decisions are reinforced and vocations for commitment to the Church mature”. Worth stopping to think about! For anyone wanting to understand what drives an Orthodox Christian into a truly missional and pioneering life in Christ this is a ‘must read’. Metropolitan Geevarghese Coorilos (pictured second from right), who is a regular supporter of the Lausanne-Orthodox Initiative and will participate in the next regional consultation in Ethiopia, took part last week in the launch of a new ecumenical textbook on mission. The launch was part of the Central Committee meeting of the World Council of Churches in Norway. Ecumenical Missiology: Changing Landscapes and New Conceptions of Mission, which is designed for use in theological seminaries, claims to be the first to offer a comprehensive overview of church mission work since the World Missionary Conference held in Edinburgh, Scotland in 1910. The Orthodox lay theologian, Kyriaki Avtzi, who is responsible for the WCC programme on evangelism and edited chapters on issues such as proselytism, evangelism in multi-faith contexts and the intersection between gospel and culture said, “The question before us on these issues is how to highlight the good news of the Gospel for today? What does this imply?” She went on to suggest that discipleship is emerging as an important lens for conceiving evangelism in contemporary missiology saying, “We still are unpacking what discipleship means in evangelism where lay people are often dominant”. 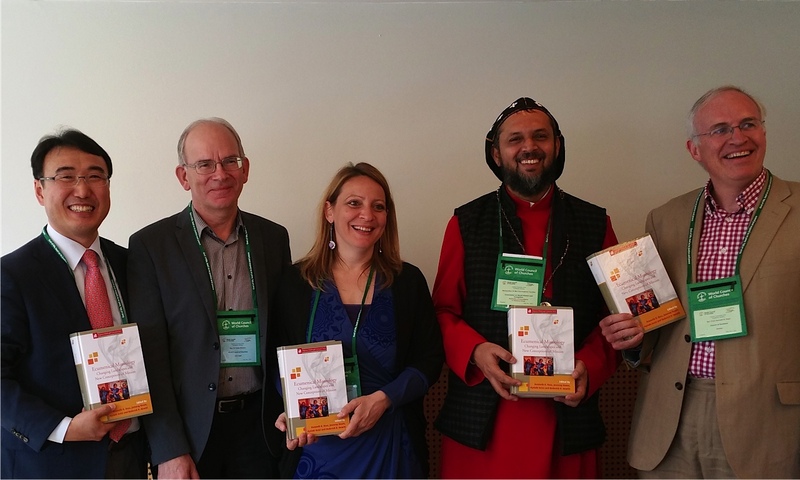 Ecumenical Missiology: Changing Landscapes and New Conceptions of Mission is jointly published by Regnum Press and the WCC.